A Brooklyn family in the care of HeartShare St. Vincent’s Services (HSVS) received a generous holiday donation from the team at Bay Ridge Credit Union on Thursday, December 22. For privacy reasons, the family was not photographed. (Brooklyn, NY)–A Brooklyn family in the care of HeartShare St. Vincent’s Services (HSVS) received a generous holiday donation from the team at Bay Ridge Credit Union on Thursday, December 22. The Credit Union’s nearly 40 staff members contributed to sponsoring this year’s family, who is working with the HSVS Bensonhurst Family Service Center. The HSVS program offers counseling, parent trainings and other resources to families in crisis to prevent the placement of children into foster care. The Credit Union team invited the Bensonhurst mother and her four children, ages 1, 3,4 and 12 to the company’s main office at 1750 86th Street to present them with new warm coats, toys and a Christmas tree. “I nominated the family for this opportunity. I knew their circumstances and that their mother is working very hard to make ends meet,” said Flor Rodriguez, a HSVS Case Planner who has been working with the family for the past few months. “We are grateful that our own children have the privilege of celebrating the holiday season. 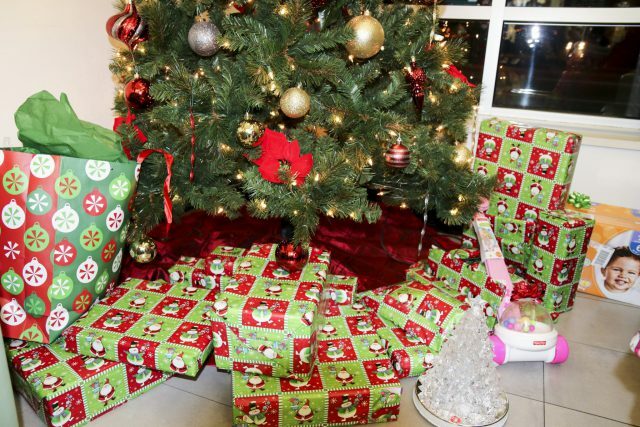 We wanted to bring that joy to those who need it most,” Maria Rando added. To learn more about our programs, visit www.hsvsnyc.org. 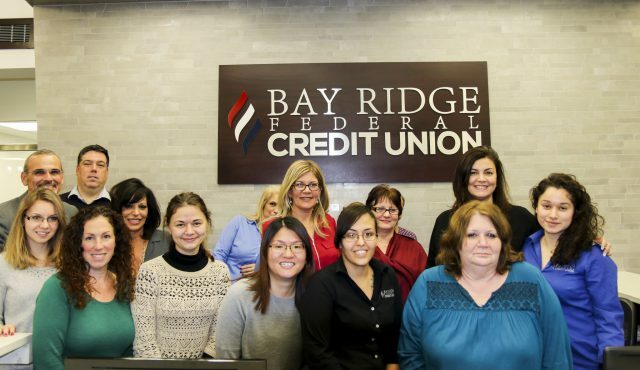 Rather than organizing their Kris Kringle tradition among staff, Executive Vice President Anthony Grigos, Vice President Controller Tina Conte and others at the Bay Ridge Credit Union decided to pool those resources together to sponsor a family in need instead. The Credit Union team presented this year’s family with new warm coats, toys and a Christmas tree.